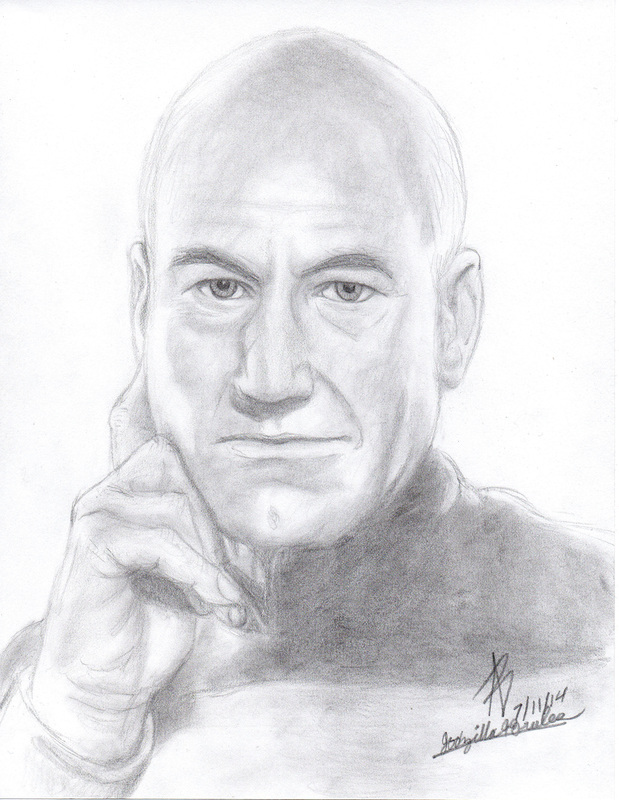 I decided to do another portrait of Patrick Stewart. This is the latest portrait as of this post (7/13/14). As with Lee Marvin, I used absolutely no measurements. I am greatly pleased with my improvments.